This short yet action-packed Karnataka wildlife safari experience takes you from the modern city of Bangalore into the jungles of Karnataka! Admire the rich wildlife of Bandipur, the elephants of Nagarhole, and the amazing birdlife of Ranganthittu. Your exciting South India wildlife tour in Karnataka begins with a trip from Bangalore to Bandipur National Park (five hours approx). 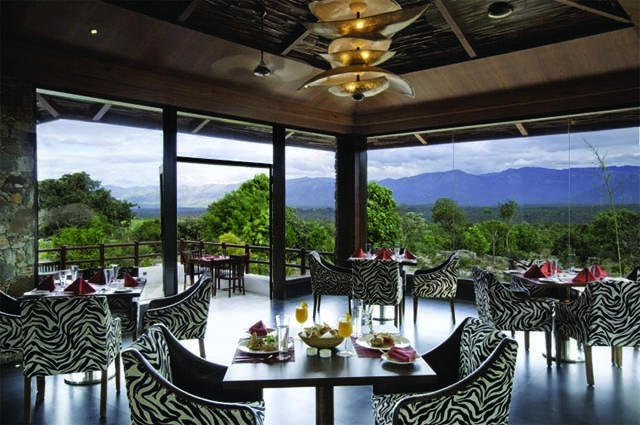 Upon arrival at Bandipur, check in to your lodge and then go on a safari in Bandipur National Park till dusk. Thisl Park is one of the best-known wildlife protected areas in India and is also a Project Tiger reserve. The park is famous for its Bengal tigers, Asian elephants, and for an abundance of sandalwood trees. You can also see leopards, sloth bears, panthers, chevrotains, dholes (wild dogs), hyenas, gaurs, sambars (deer), chitals, wild boars, barking deer, and mouse deer. Return to The Windflower jungle lodge for dinner and rest. 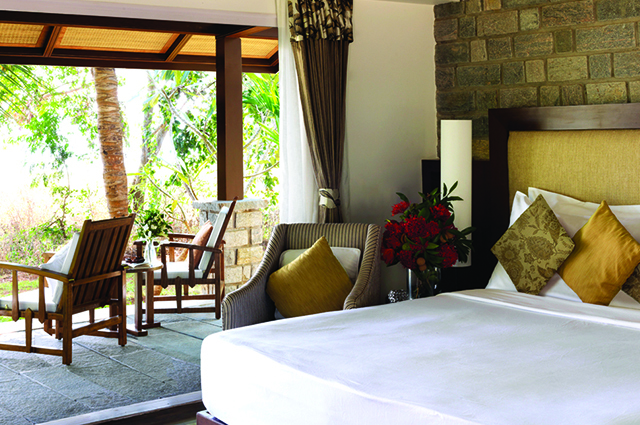 Set amidst lush greenery, The Windflower is a luxury lodge located close to Bandipur National Park. Rooms here have floor-to-ceiling glass windows, skylights in the showers, and modern amenities. Dinning is al fresco style with a variety of local cuisine on the menu. After a long day on safari, you can choose to relax in the infinity pool or get a massage at the award-winning spa. Go on morning and afternoon safaris into Bandipur National Park Your day at Bandipur begins with an early morning game drive. Mornings in Bandipur are quite mesmerizing and in the winters you can see the mist raising off the ground. The Nilgiri mountains form an amazing backdrop for your adventure. You are sure to spot many chitals and Asian elephants, and hopefully, you'll even see a tiger! Return to the lodge for some rest before you head off to another game drive in the afternoon. You bid farewell to Bandipur with one last game drive and then travel to Nagarhole National Park for an afternoon safari. Stay at the beautiful Serai Kabini Lodge for the night. Go on a final safari into Bandipur before leaving for Nagarhole National Park (three hours approx.). Check into your lodge and then head into the park for your first tiger safari at Nagarhole. 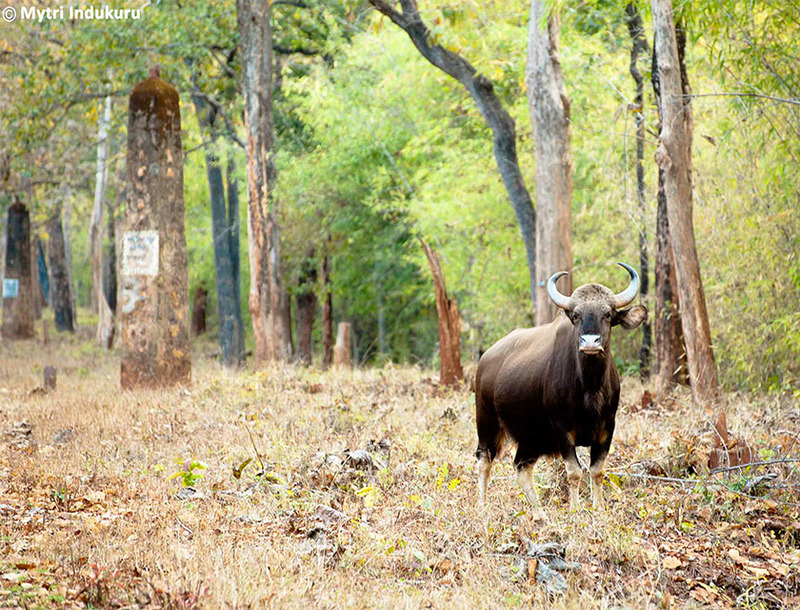 A part of the Nilgiri Biosphere reserve, Nagarhole is among India’s most well maintained national parks. 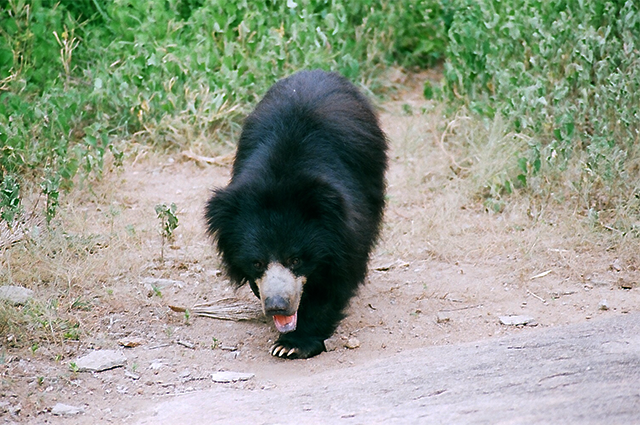 Spot tigers, leopards, Indian bison, sloth bears, gaurs, sambars, chitals, and common muntjacs. Bird watchers will be excited to spot many of the 250 species of birds here including the endemic malabar trogon and malabar pied hornbill, and the crested hawk-eagle! Also look out for the park's large population of elephants. Return to The Serai Kabini for dinner and rest. Located on the banks of the Kabini River, The Serai Kabini hosts luxurious and comfortable rooms that have been designed keeping the lodge's rustic surroundings in mind. The dining menu features a variety of delectable Indian options while the log-cabin-like bar is sure to serve your favourite drink! Go on one last game drive into Nagarhole and then travel to Mysore. You have the day free to explore Mysore on your own. After a final morning game safari at Nagarhole, head for Mysore (two and a half hours approx,). After checking into your hotel you have the rest of the day to explore this historic city on your own. Mysore is the second largest city in the Indian state of Karnataka. It is best known as the home of two great 18th century kings- Haidar Ali and Tipu Sultan. The majestic Mysore Palace, the city church and a drive to Chamundi Hills are worth a visit. If you have a sweet tooth, try the famous regional sweet- Mysore Pak. Our Indian wildlife holiday ends today with a visit to Ranganthittu Bird Sanctuary and a transfer to Bangalore. Head for Bangalore this morning (five hours approx.). En route, make a brief stop at Ranganthittu Bird Sanctuary, a birdwatcher’s paradise. Ranganthittu Bird Sanctuary covers an area of 67 sq km and consists of six islets on the banks of the river Kaveri. The birds found here include the painted stork, Asian openbill stork, common spoonbill, woolly-necked stork, black-headed ibis, white ibis, lesser whistling duck, Indian shag, stork-billed kingfisher, egret, cormorant,and oriental darter. Many small mammals can also be spotted on the islets, including bonnet macaques, colonies of flying foxes, common palms, Indian grey mongooses, and monitor lizards. After about an hour of birdwatching, drive on to Bangalore (Bengaluru), where your tour will end.